This pattern contains three "Super Simple" towel designs, and they are great for beginners! 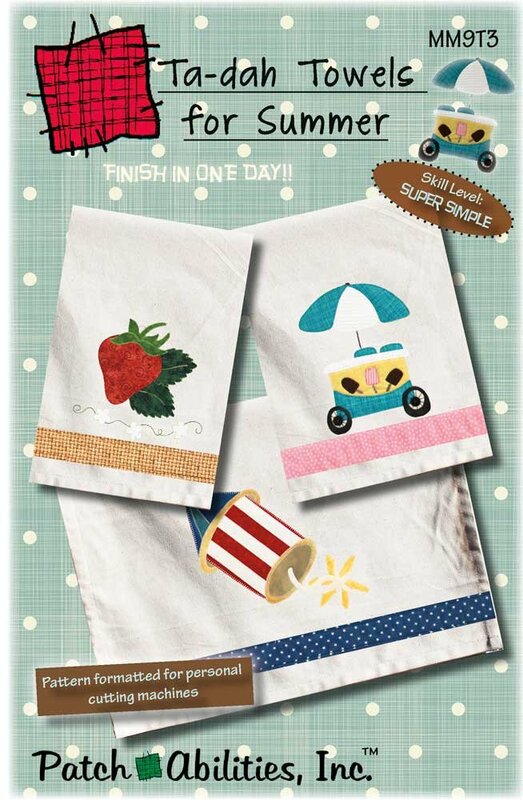 This pattern includes instructions for 3 Summer towel designs: Strawberry Sweet, Spark of Fun and Summer Yummies. Don't forget the button pack needed to finish your ice cream cart. It contains enough buttons to make three Summer Yummies Towels and can be ordered in the purchase options along with the pattern. The designs are as follows: Strawberry Sweet features an appliqued strawberry design- a perfect summer design. Spark of Fun features a lit applique firecracker- this fun chunky firecracker is perfect for 4th of July! Summer Yummies is a ice cream applique design. The ice cream cart with umbrella applique design says, "Summer is here!"